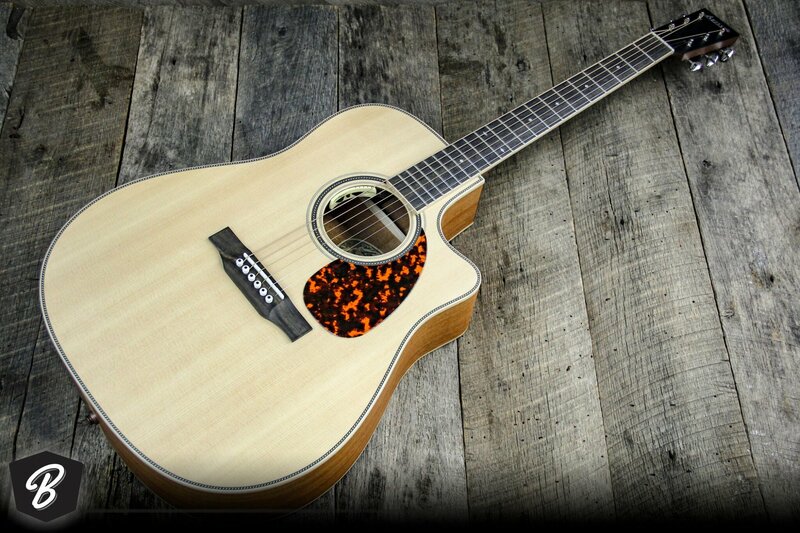 This Larrivee DV-40M features a dreadnought body with a cutaway. This model is in Larrivee’s Legacy series. These instruments offer the same high quality construction that all Larrivee guitars are known for (all solid wood construction, dovetail neck joints, ebony fretboards and bridges) but with a newly developed bracing pattern that’s hand shaped and voiced, offering a full, responsive sound with great depth and power. These guitars are built in California.